Bling Biling!!! 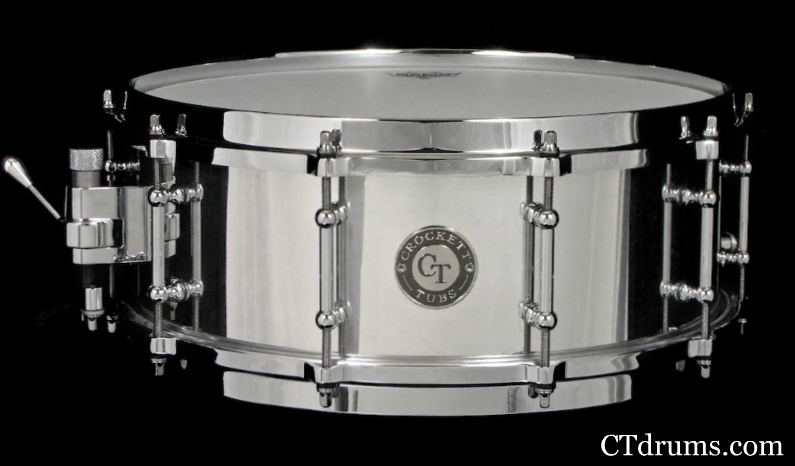 A 5.5×14″ Chrome Over Brass (COB) Vintage Series snare shell with our own custom modified Trick throwoff to perfectly fit over the beaded shell. All vintage brass shells will now come stock with this throwoff, no more bulky spacer or custom pieces to fit. Also note the new bullet tube lugs that is a smoother spinoff over standard vintage tube lugs. And special requested Pearl Fatone hoops which are a 1.6mm thinner hoop and a straight lip for a complete vintage tone. A winning drum for sure. 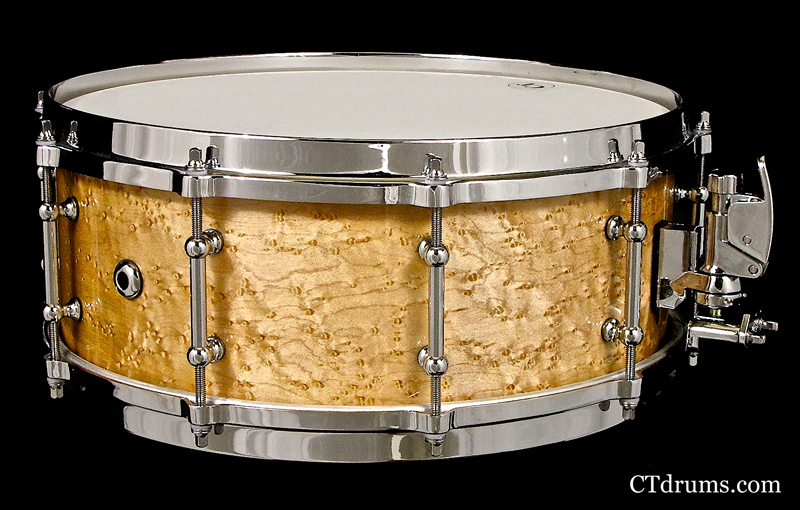 Our proprietary new Vintage Brass series snare drums recently finished. 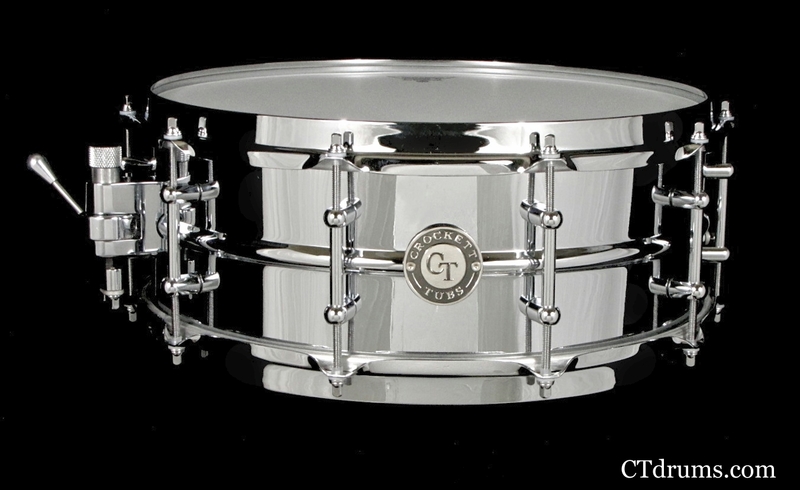 The first is a 5.5×14″ in Tarnished finish with all chrome hardware including vintage solid brass tube lugs, a Trick multi step throwoff and die cast hoops for a better rimshot and bolder tone. Custom built for our good friend John Messier of POP FICTION. 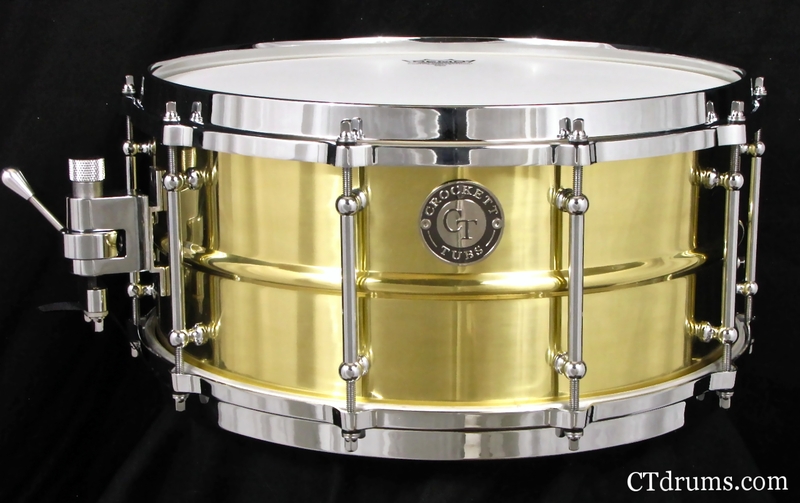 The second snare is also for another repeat customer shown in a 6.5×14″ polished brass finish with chrome hardware as well. 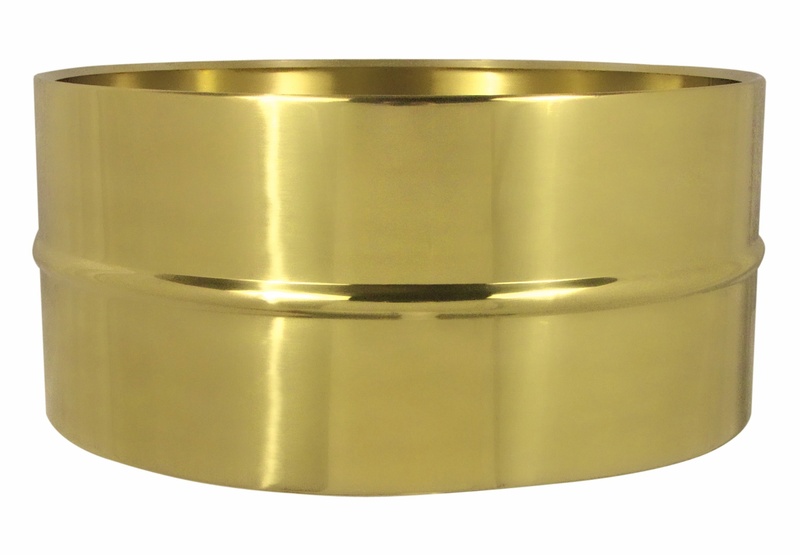 These vintage brass series drums have sold remarkably well with rave reviews. Look out for more coming in shortly if you’d like to get on the waiting list. Click here for more info. 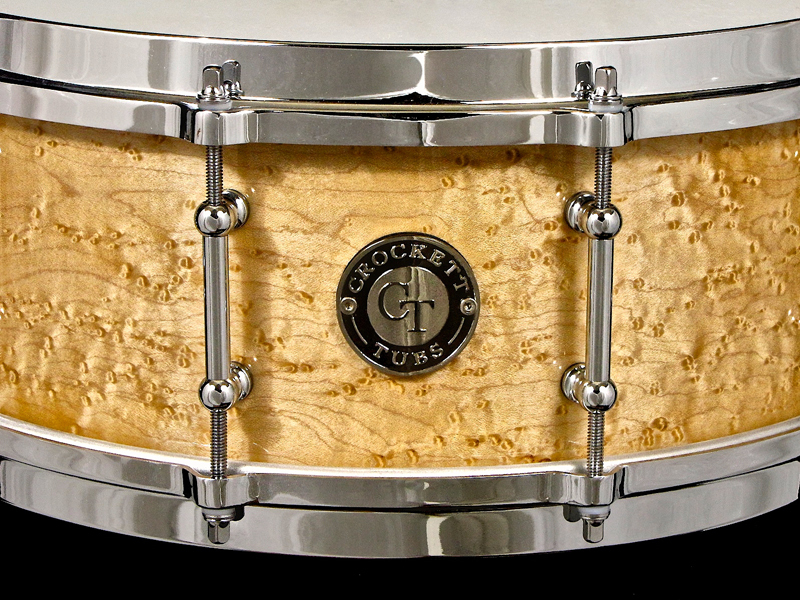 It’s hard to find a quality steambent solid maple shell with this amount of AAA grade birdseye figuring. 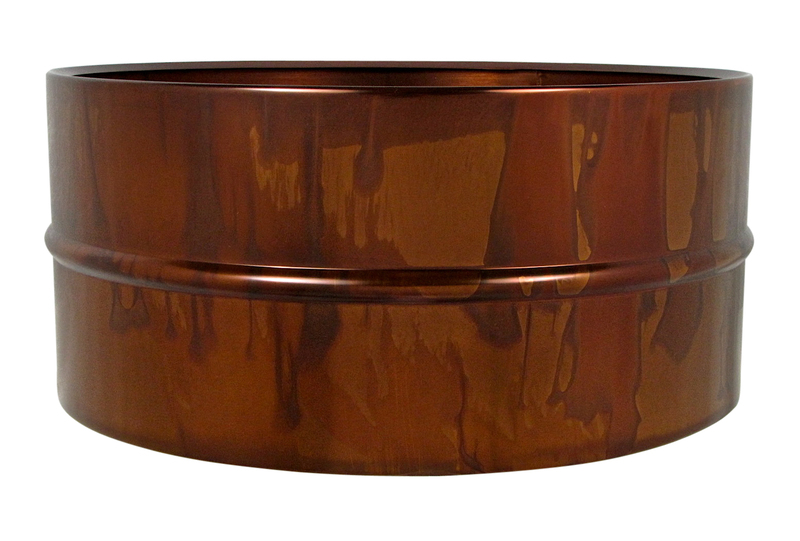 This 5.5×14″ single ply shell was an overstock made for a very well known drum company’s limited anniversary snare series. After acquiring the raw shell, we used our signature finish steps to our allow the grain to pop and the figure to dance once under our high gloss clear coat. 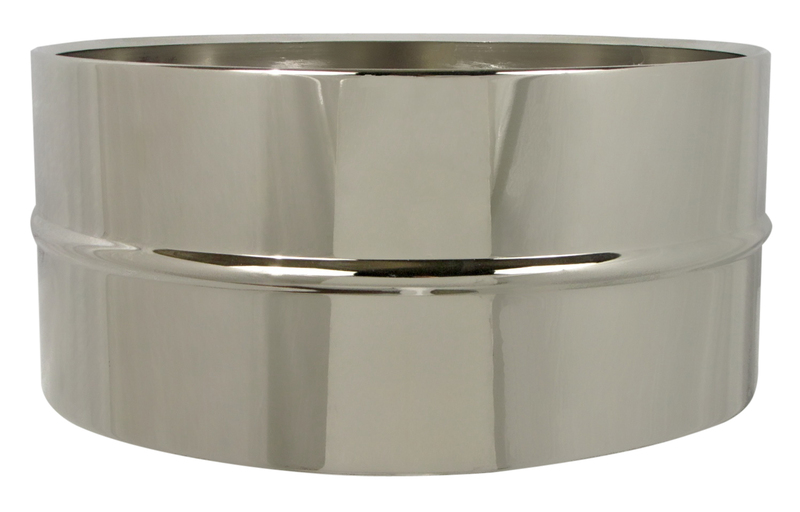 Coupled with chrome hardware and rounded bearing edges creates this classic snare drum. 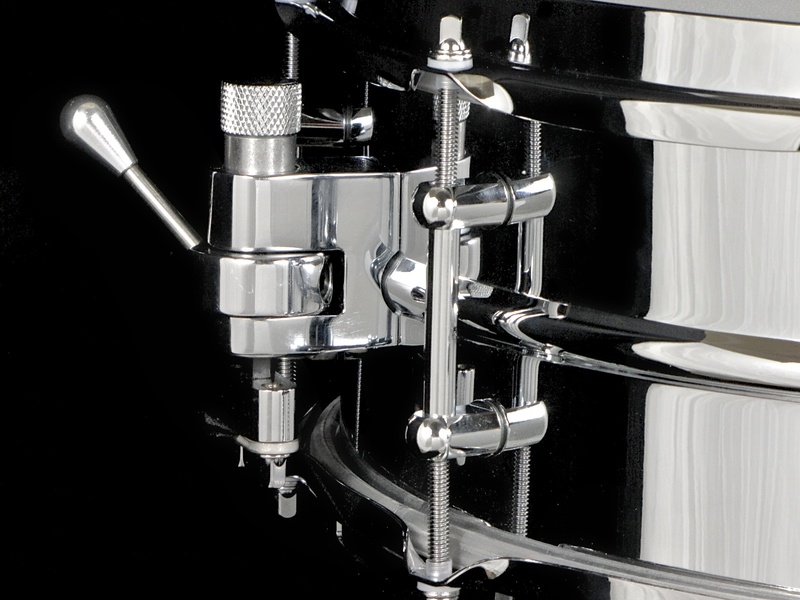 Hardware includes vintage style chrome over brass tube lugs, die cast hoops, Dunnett R4 throwoff and Remo drumheads. 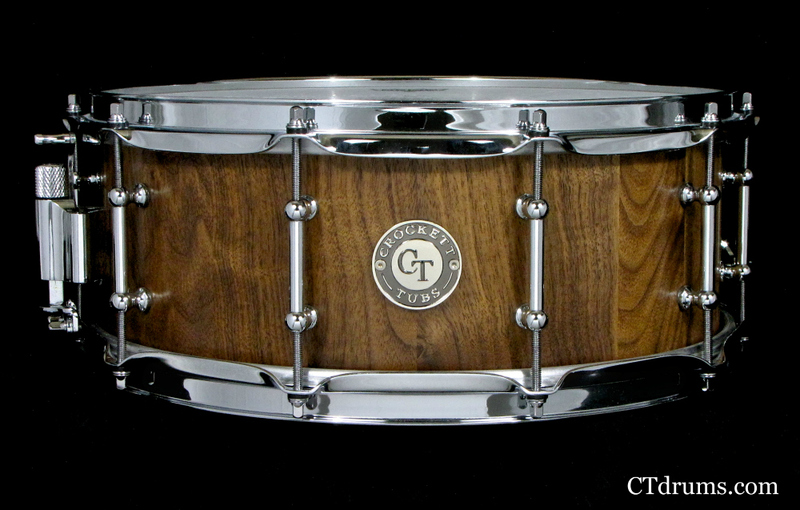 Made for one of our best drum customers, who’s collected over 8 different CT drums thus far. What do you do with some left over walnut boards? Well, build a cool snare drum of course! 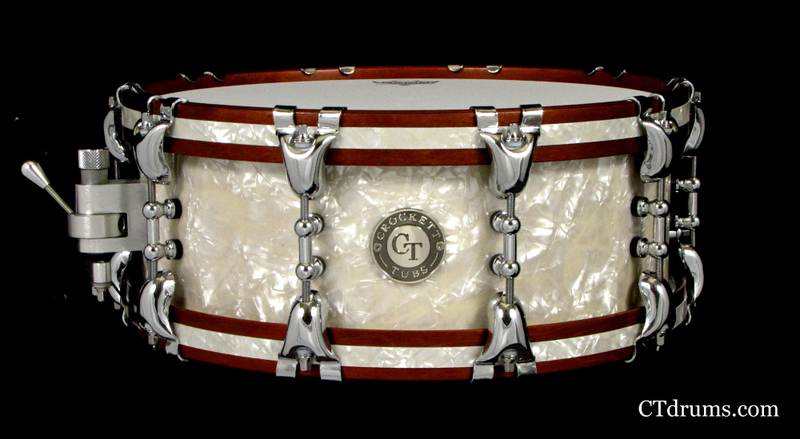 A killer little snare drum that is great for recording, jazz, soft rock, etc. It has a drier tone than maple and a touch darker. Walnut is typically more mid focused as it is a much softer wood than maple which has extreme highs and lows. 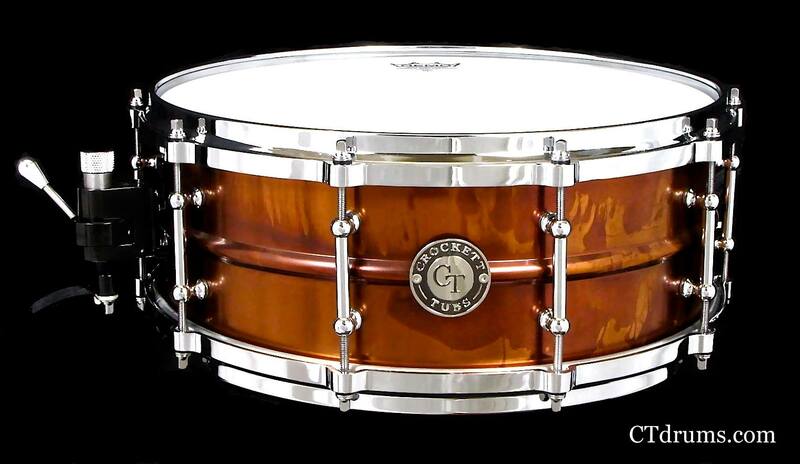 Everyone has loved this snare in our back stock and hopefully we can keep it long enough to make a video demo. 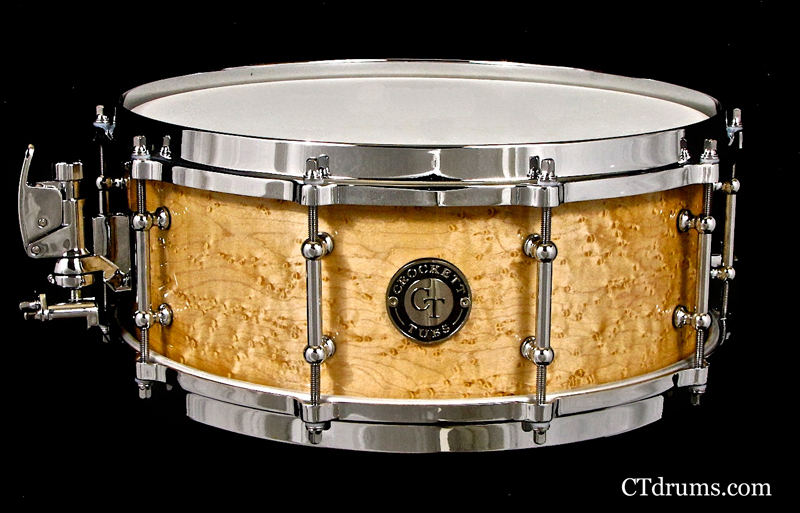 This 5.5×14″ solid stave shell is only 3/8″ thick to help add more resonance and body. 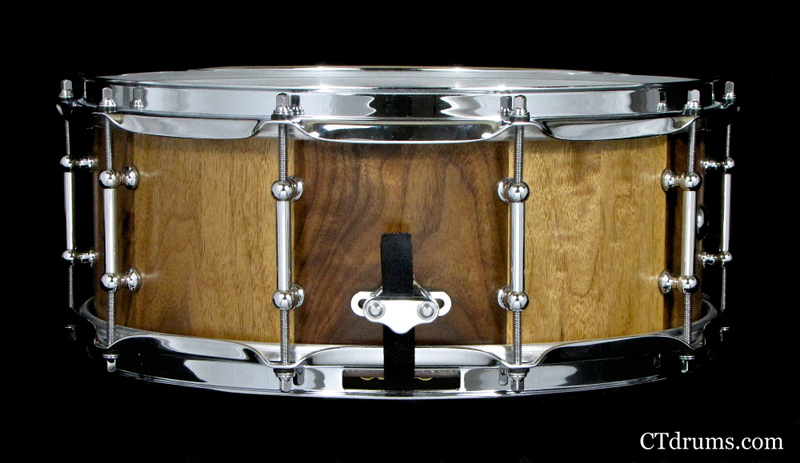 The drum is finished in our natural satin oil and shows off the amazing figure of this unique walnut, and take note of the second picture showcasing the sapwood walnut sections which is a lighter color. 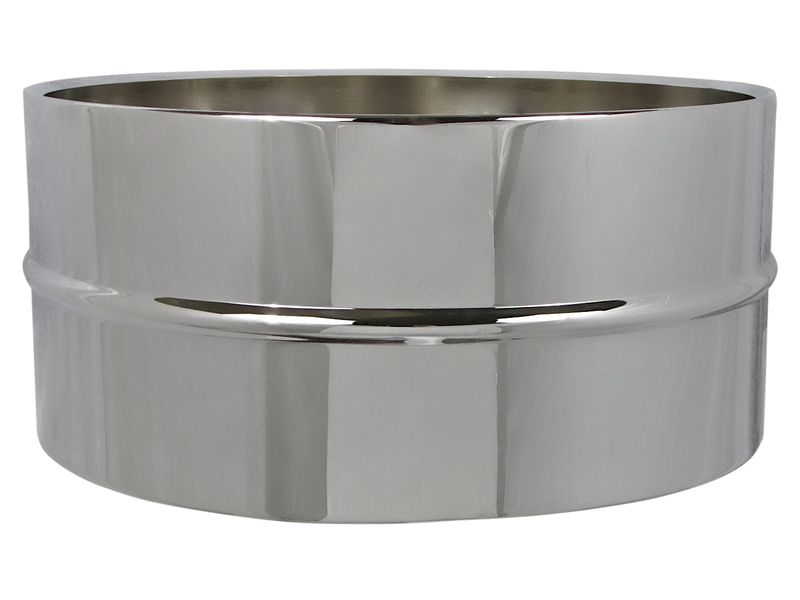 All chrome hardware includes full length tube lugs, 2.3mm triple flanged hoops, and an RCK throwoff. This kit looks exactly as it sounds; classic and sweet. 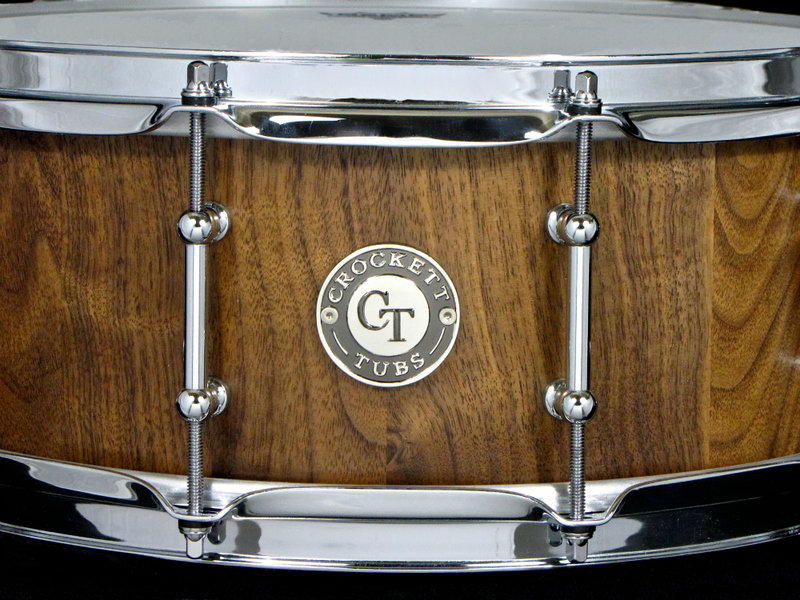 It has a nice warm tone from the thin maple shells and that classic old school sound with the wood hoops. 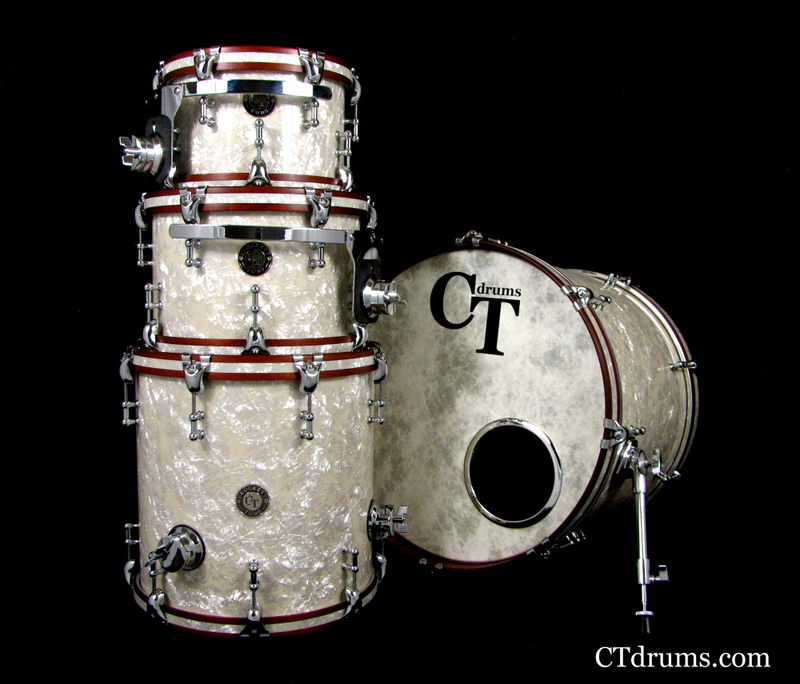 A 4pc Standard Series Maple kit in aged white marine pearl with wood hoops in Tomacco satin stain with matching inlays. This is a great example of our Hide-a-head hoops that sit over the head collar instead of on the collars like bass drum hoops. All chrome hardware with chrome over solid brass 50% offset mini 1” tube lugs, rounded butterfly claws, pro spurs, DSS suspension mounts, heavy duty brackets and a Trick multi step throwoff. The matching Remo Fiberskyn front logo bass drum fits the theme perfectly. 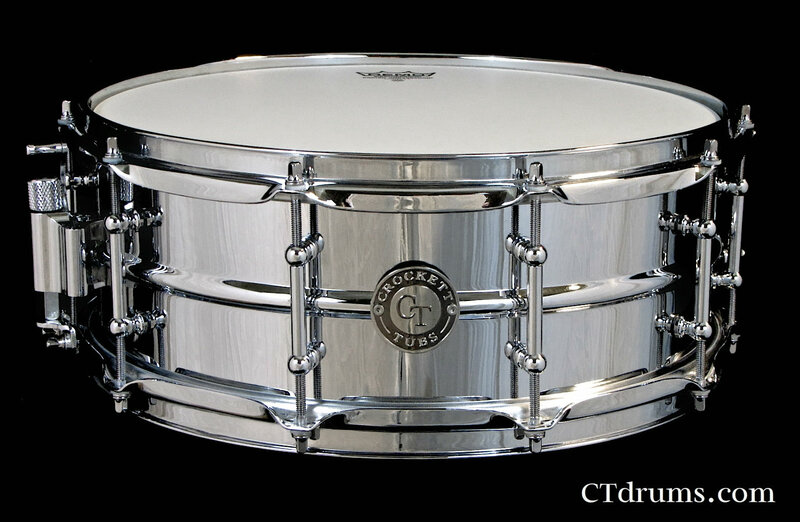 Sizes include 16×20” kick, 7×10” tom, 8×12” tom, 14×14” floor tom, and a 5.5×14″ snare.